Click on a session's title to see the full description. Select one of the strands/topics in the drop-down box below and click 'go' to filter by interest. Organizations that successfully innovate in times of rapid change distribute authentic leadership opportunities and expectations across the organization. In schools, this means that teachers and administrators, regardless of title, all can be leaders of innovation. In this highly interactive, hands-on workshop, Grant will share key elements of how educators can “lead from where you are” with ideas and pilot projects that will bring increasing value to the entire school organization. Attendees will explore and apply a toolkit of options to create more student-centered learning experiences, overcome risk aversion, attract an effective team, connect with other colleagues beyond their classroom or school who share your interests, and build on pilots of what is working well. We will use a backward-design logic model to frame changes attendees would like to see in their classrooms, schools, or practice. Attendees will sketch and share prototypes of actionable steps they can take immediately that will help transform the learning experience for their students. The workshop will include a brief overview and four sections, each being 75-90 minutes: 1. School-organizational change; focusing on what you can control; shared obstacles and opportunities across schools serving different communities; community-based value proposition; modified Kotter model of organizational change 2. Leading with design; leading like an architect; using a clear logic model to first identify outcomes and then backward-design to tactics and resources; applying a large toolkit of options to find and prototype pilot projects by yourself or with your team; 3. Designing for deeper learning; tactics for individuals and teams that will help shift schools toward a deeper learning experience for all students; selecting a path for tomorrow, next semester, next year. 4. Leading from where you are: levers each of us can press, individually or together, that are proven ways to create change in schools; distributed leadership model; delivering a pilot; gathering feedback; iterating the pilot; sharing what is working and what is not. Click here for graph's from Grant's pre-conference workshop. Education is facing four existential questions: “why” should we change; “what” will that change look like; “how” will we change; and are our schools on a trajectory to intersect a future that is vastly less knowable than it ever has been in the past. Over the last four years, Grant Lichtman has visited and worked with more than 150 schools and districts, thousands of school stakeholders, and published two books and numerous articles that focus on these questions. In his keynote, Grant will share key pieces of the K-12 landscape today, as well as some potentially inevitable changes in the operating systems of schools in the next 10-25 years. He will challenge us to push the horizons of our thinking past the question of “why” schools should change, and on to “how” we all can most effectively lead that change. In this breakout session, keynoter Grant Lichtman will dig deeper into what administrators and teachers can do to start and sustain significant changes in their schools. We are beginning to see a convergence of ideas and practice from some of the most successfully innovating schools in the country around how to move schools from a one-size-fits-all model of learning to a more student-centric model of deeper learning focused on building student curiosity and engagement. 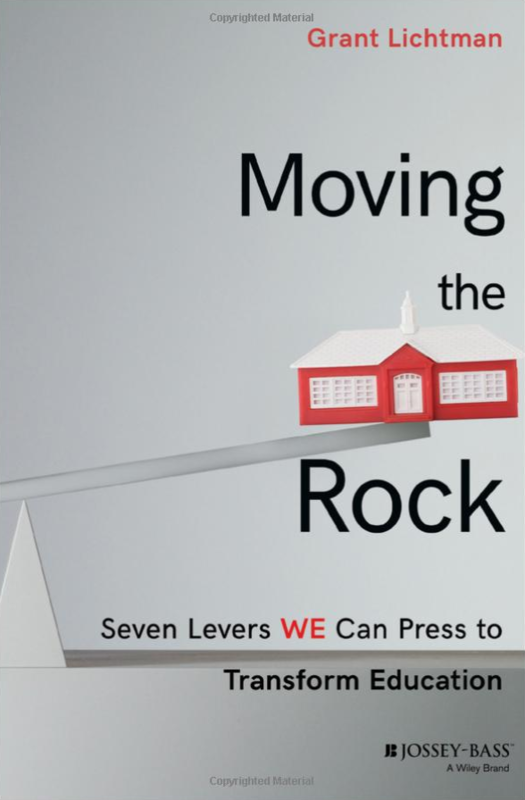 This session will explore the attributes of the “architect-leader” archetype, and probe the seven levers of school change described in Grant’s new book, Moving the Rock. These levers are proving effective in transforming schools and districts around the country, and provide concrete ways that all school stakeholders can act to initiate and sustain deeper learning in our schools. Head Start is the nation's leading investment in early childhood care and education, where parents are respected as the primary educators. Head Start and Early Head Start serve children from birth to five, pregnant women, and their families.This session features a panel of Head Start professionals, outlining Head Start's school readiness goals, educational settings, family services, community involvement, Childcare Development Grants, working with districts and more. The 2016 Legislature created a program to provide for the mentoring of teachers new to the profession in South Dakota school districts. The program provides new teachers access to a mentor teacher for a period of two years, along with participation in a summer workshop following the first year of employment. Learn about the development and requirements of this program and its impact on South Dakota educators. What does it actually mean to be ready in the 21st Century? It's a big, complex, and audacious question. “College and career readiness” is a well-worn cliché in the education sector. It’s often used, but rarely defined. The third "C" - civic readiness - is often forgotten altogether. Our current definitions aren't wrong; rather, incomplete. In this session, we'll explore the demands of a 21st Century society, economy, and how it can impact what happens in the classroom. This session will review researched routines and processes that you can implement tomorrow. The two main areas are providing a interactive review of content utilizing engagement strategies that shift the work to the students and implementing a variety of effective opportunities for all students to respond in your lesson process. In an era where conflict and intolerance seem to be on the rise, finding a way to use existing state standards in your content area to promote appreciation and understanding of our differences is a recipe for success. Learn how the Oceti Sakowin Essential Understandings (OSEU) can fill that role. Discover time-saving free resources and lesson plans which make incorporation of the OSEU into your classes easier. 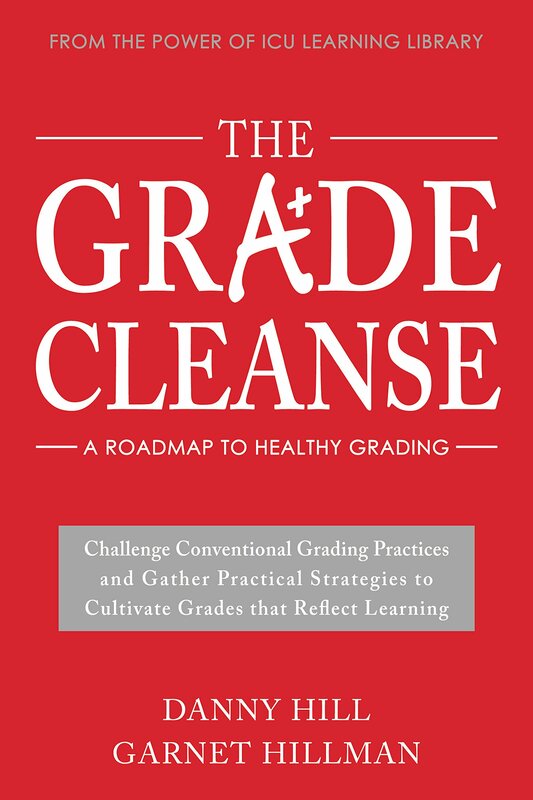 This book talk presents a six-step process to help teachers improve their grading practices by keeping the focus where it belongs…on learning rather than grades. Each “grade cleanse” described in the book is accompanied by a series of challenges and “how-to” steps. As teachers complete the challenges, they will learn grading can be a meaningful process that supports reflection and growth. Furthermore, they will understand cleansed grades are healthy grades, and healthy grades support learning! Research is very clear that quality childhood education has a direct positive impact on later academic success. Attendees will come away with a better understanding of how the SASD Preschool Levels Of Excellence came to be. Attendees will also learn how ANY preschool in that state can take advantage of this program at no cost. Currently, 13 preschool programs have been identified under the SASD Levels Of Excellence. Come and learn more about the process. Research indicates that the degree of relational trust among adults in a school is a key variable in the success of school reform initiatives and their ability to raise student achievement. This program is an offering of the Center for Courage & Renewal (CCR) designed to build adult community in schools. LT is designed to strengthen the relationships between principals and teacher leaders to facilitate positive, trusting relationships between adults in the school community. If you’re learning community is ready to move from trad to rad, this session is for you! Learn more about the journey from traditional practice to transformative empowerment! Find out how you can empower stakeholders & staff to provide the Ideal Learning Experience. Don’t miss out on this learning opportunity to collaborate on what the journey can look like & how to make it less daunting, along with time for Q&A! Your trad days will be long gone & your learners will thank you for it! Changes are Coming - Universal Assessment 101! There are some systemic changes in the universal assessments we are currently using in South Dakota for providing tiered interventions! DIBELS has some major changes coming, Aimsweb is moving all users to Aimsweb Plus and closing the 1.0 this summer. This session will give you the information you need to know. We will also review other assessment tools (ex. FastBridge Learning, NWEA) that schools are using for providing tiered instruction for students. Educators are filled with compassion, so it is natural to want to help when we see students who need food, clothing or other essentials, but do we grasp the real, lasting toll poverty takes beyond what we see at school? The Missouri Community Action Network has developed a poverty simulation that lets you experience being poor first-hand. SD Education Association is now making the simulation available to schools as a member service. Find out whether this training is needed in your school. Are you thinking about adding a makerspace to your learning space? Or do you have one but want to extend it to the next level? 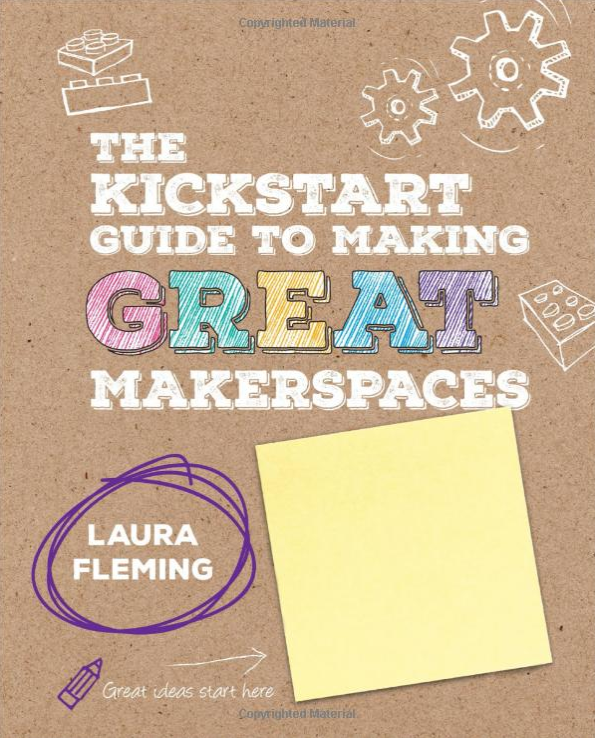 The Kickstart Guide to Making Great Makerspaces by Laura Fleming provides a framework for guiding you through the process of establishing and refining a makerspace in your school. This session will help you learn how to develop ongoing open-ended exploration, increase engagement and support learning for everyone. This session highlights the SD Early Learning Guidelines, approved by the Department of Education, which guide early childhood professionals in working with infants to kindergarten-age children and their families. Session includes how the Guidelines are aligned to the Head Start outcomes framework and school-age content standards. A website "SD Step Ahead- Supporting Early Learners" is to be launched soon from the Department of Education, which features the Guidelines and other resources. The South Dakota Association of College of Teacher Education (SDACTE) desires to hear from all P-12 partners in the State. The association is the advocacy group for teachers and teacher educators and wants to hear directly from those in the field as to the state of education in South Dakota. This session is a place for any educator to inform those who are preparing future teachers as to what it takes to be an educator in our great state! Many schools around the country are using personalized learning strategies, but misconceptions persist. Come learn about what the myths are and how you can start to implement personalized learning from the ground up. We will dig into grounding ourselves in instructional research that we know gets the largest effect on learning. On top of that walk away with a toolkit of strategies to start making a change in your classroom. Do you use rubrics to assess your students' learning? Great! Do you use those same rubrics to guide your instruction and give your students freedom in the demonstration of their mastery? If you'd like to learn how to make grading easier, produce more accurately aligned assessments, and offer students more buy-in and freedom in their work, come to this session in which we'll explore the advantages of "beginning with the end in mind" when designing lessons and assessments. In this session, participants will have an opportunity to explore and identify the price of disengagement and the reason actively and cognitively engaging students is critical. Participants will examine statistics illustrating the long-lasting impact of student disengagement, take part in instructional activities, and walk away with samples of engaging, culturally responsive instructional strategies to be used in the classroom to increase student engagement for all students. Participants will not only learn about these strategies, but will also be actively and cognitively engaged throughout the session. How much of your instructional practice is based on current neuroscience and educational research? Brain-based research has exploded in the last decade - does this new knowledge debunk or reinforce your current practice? We will explore the myths and research behind many common education and classroom activities. National Board Certified Teacher Cohort and Jump Start Training: a System of Support and Success! If you've ruled out pursuing NBCT status due to cost or difficulty, it's worth another look! This session introduces participants to a pair of supports: the SD DOE National Board Cohort model which supports teachers through completion of the process, both financially and intellectually, and SDEA’s Jump Start training which helps potential candidates determine whether they are ready for the journey, providing tips on organization, sequence and preparation which have proven successful for others. Experience a new model of staff development with teacher immersion in their content areas. This session will cover Open Educational Resources that are being developed in South Dakota schools, including 4th-8th grade social studies through a SD DOE Innovation Grant. The session will also cover other freely available resources. Join us as we explore tomorrow’s classroom today. Assessment drives instruction. It is important for educators at all levels to identify priority content based on standards, review baseline data, and create a Student Learning Objective (SLO) to gauge student learning. The SLO process aligns to the components of effective classroom assessment, including purpose, measurement, interpretation, and use (McMillan, 2018). This session will focus on teacher-created assessments as a means to measure student achievement. In this session you will explore technology tools that provide scaffolding, help students build background knowledge, and offer opportunities for meaningful interaction. Explore some fun ways to practice, apply, review, and assess content. These tools and strategies benefit all learners. When students have a choice, they feel empowered to make the right decisions. When students are allowed a voice, they feel validated to take ownership of their learning. When students feel safe, they feel brave enough to tackle academic and personal challenges. When teachers are compassionate and willing to provide these things for their students, classroom management becomes less about discipline and more about learning and teaching. This session will explore Adverse Childhood Experiences (ACEs), how trauma affects the brain, and how Oceti Sakowin culture serves as a protective factor. Specifically, it introduces participants to the Woope Sakowin in the Educational Setting Framework, with a focus on trauma-informed practices. 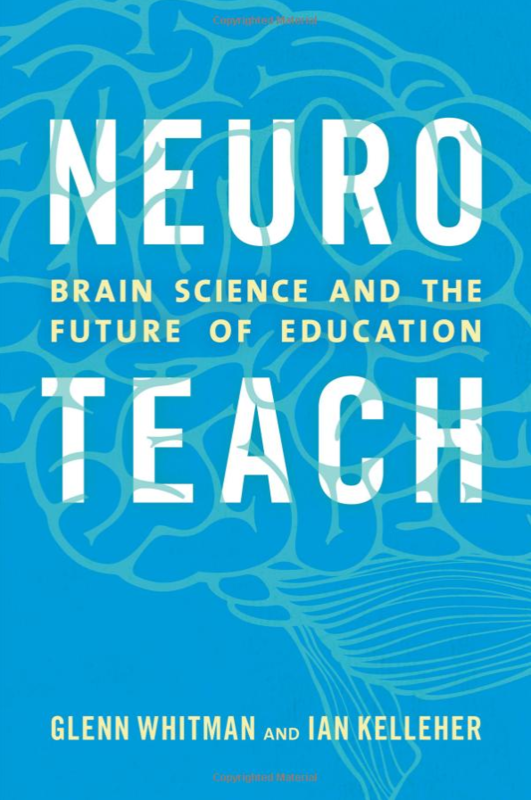 In this book, cognitive scientist Dan Willingham helps teachers hone their skills by understanding the brain. The nine principles, with applications for the classroom, will help teachers improve their practice by explaining how teachers and their students think and learn. It reveals-the importance of story, emotion, memory, context, and routine in building knowledge and creating lasting learning experiences. We will also discover some surprise findings about the mind. As a administrator I often struggled with planning Professional Learning for my staff that was pertinent and useful for everyone. With limited PD days and required material to cover we want to take a creative look at meeting the unique needs of individual adult learners by adjusting the platform in which Professional Development/Learning is administered. By adjusting the way in which we deliver professional learning we can meet the areas of need for many teachers instead of a select few. Immerse yourself in the realm of personalized learning. While gaining insight into how to cultivate an environment in which personalized learning can thrive, you, yourself will get to experience aspects of such an environment. Bring a growth mindset. We will provide offerings during the session that will include creating a family of learners, learning environments, designing a classroom, norming learning environments, and cultivating a growth mindset. This presentation will provide a comprehensive overview on suicide prevention in the state of South Dakota. The presentation will include information on community coalitions and activities, Zero Suicide implementation, community resources, available trainings to the public, data trends and prevention efforts’ outcomes. The goal of this presentation will be to educate mental health professionals and community members about with resources in their community, and across the state of South Dakota. So here’s the thing: your mind is a computer, pure and simple. And a computer has only one function: to answer questions. The questions you ask your mind result in answers that shape the way you see the world and how you interact in it. When you consider what questions others are asking themselves, you unlock the key to creating deep connections and gain a powerful tool to re-direct the lives of students who are all but defeated by struggles they face each day. The most powerful questions you can ask yourself rely on one single word. It is a word that, more than any other, has shaped the entire modern world. And it is a word you already use each and every day. Sean will combine humorous and heartwarming stories of small town life with crazy tales of true-life adventures to illuminate an ideology that is at the heart of education and leadership. The message is designed to excite, focus and empower individuals as they seek to create a dynamic environment for learning, and to positively shape the lives of others. Letting go is never easy, especially when we are so determined to help our students succeed. Even though it can feel counter-intuitive, giving the classroom to our learners makes for much more effective teaching. Together we’ll explore how letting go of some things will help create a classroom culture where group work is productive and our learners flourish. Are Your Evaluations and SLOs a Meaningful Process that are Focused on Growth? Have you ever felt like you and your teachers are going through the motions during the evaluation and SLO process? Have you ever wondered how districts around South Dakota have created successful processes for SLOs and evaluation? At this session, participants will learn about resources and strategies which help put the focus on growth. Educators will hear from practicing principals about their use of successful strategies and tools. The principals will also share how they use Frontline, which is the evaluation platform the Department of Education provides to public school districts free of charge. Learner Agency in Action: What do the Students do? What does the teacher do? If you’ve found yourself asking, “How do I get my students to see beyond the surface? How do I get them to think?”, you’re part of a huge club who are constantly trying to help our students “get beyond.” When we're learning more deeply and deconstructing the processes of thinking, we're cultivating our strongest thinkers. In this workshop, we'll do a deep dive into what a classroom looks, sounds, and feels like when “agency” is passed to our learners. Why Edison? Edison is a programmable robot designed to be a complete STEM teaching resource for coding and robotics education for students from 4 to 16 years of age. Edison is our newest member to support the STEAM classroom. Get a hands-on experience with Edison. The fun doesn't stop there. Explore and 'play' with our computer science tools and robots and gain an understanding of which resources would be best for your school or situation. Attendees receive a FREE Edison Robot! 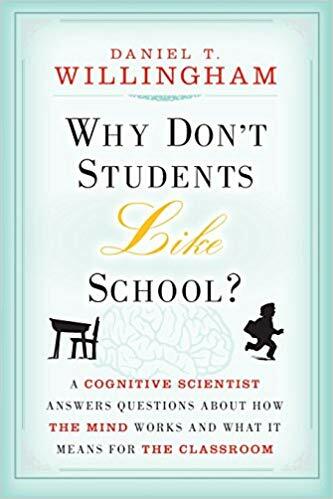 “Stressed brains can’t learn.” That was the nugget of neuroscience that Jim Sporleder, principal of a high school riddled with violence, drugs and truancy, took away from an educational conference in 2010. Three years later, the number of fights at Lincoln Alternative High School had gone down by 75% and the graduation rate had increased five-fold. 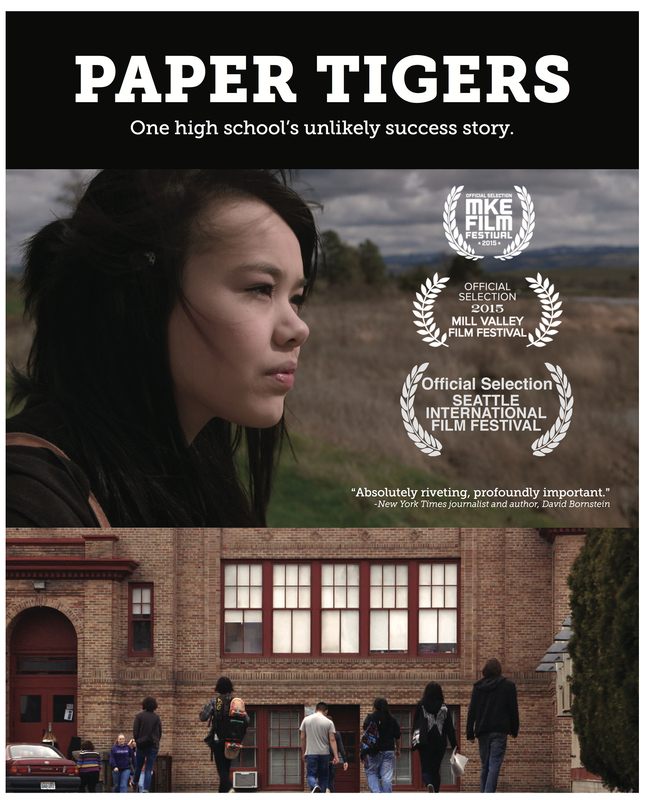 Paper Tigers is the story of how one school made such dramatic progress. Following six students over the course of a school year, we see Lincoln’s staff try a new approach to discipline: one based on understanding and treatment rather than judgment and suspension. Using a combination of vérité and revealing diary cam footage, Paper Tigers is a testament to what the latest developmental science is showing: that just one caring adult can help break the cycle of adversity in a young person’s life. Discussion to follow. Warning: Film contains strong language.